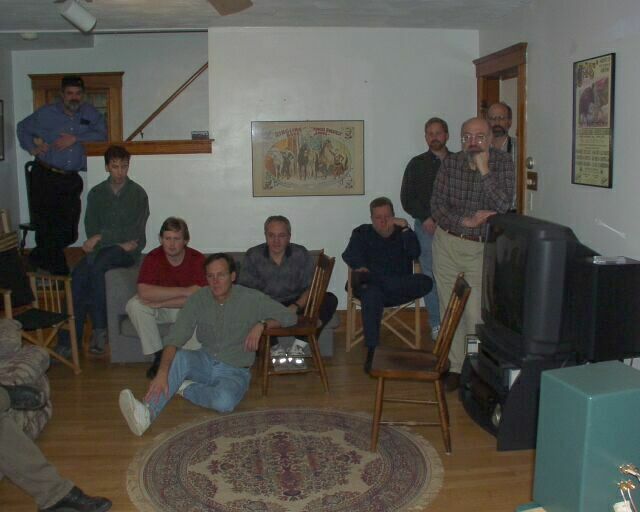 It took a long time, but I finally got around to posting some pictures form the New England DIY 2002. I may a few more later (I took mine with a standard film-negative camera). This first set of pictures came courtesy of Matt Olson. I've done my best to recall the names with the faces, but if someone spots an error, please send me an email. I apologize for those I can't recall, I just have a bad memory for names. All will be from left to right. 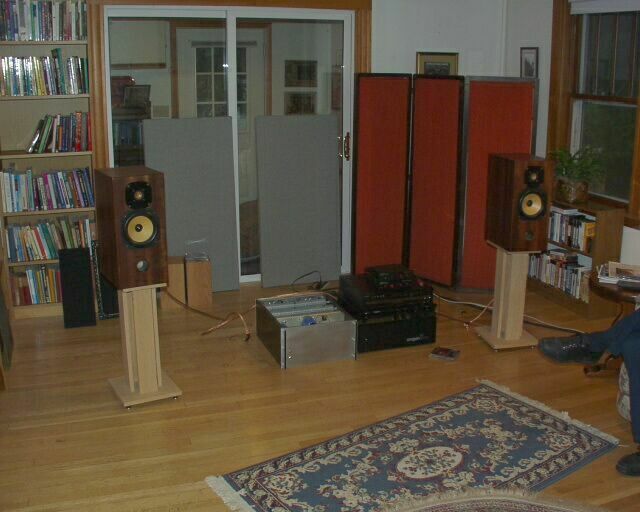 This is the listening end of the room, taken from about where the speakers were. We have Pierre Olsen, Jean-Philipe Mendes, Brendan(? 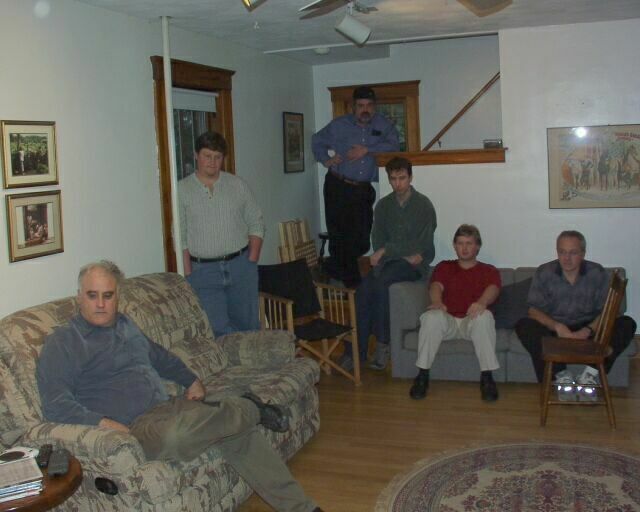 ), John K., Doug Packard, John Purys, Scott Leno, Leroy Hutzenbiler and Yours Truly. Pierre liked to take the position with a view. Bill Ceruzzi's 2-ways. Note the carefully placed and aesthetically integrated room treatment. Well, it helped a bit, anyway. 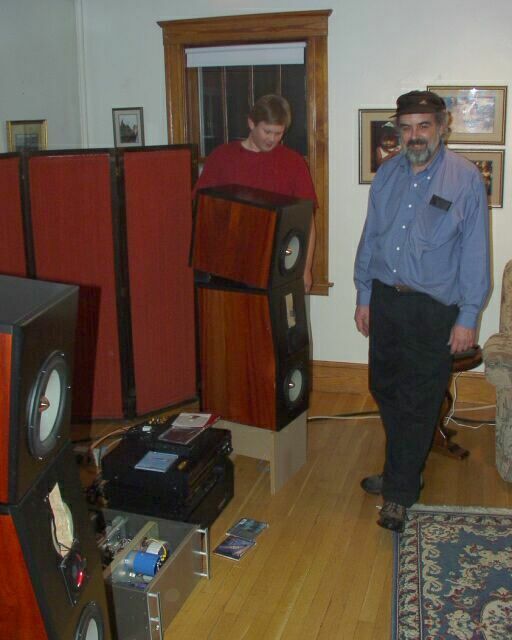 Brendan and Pierre look over Dave Salizoni's big ones! 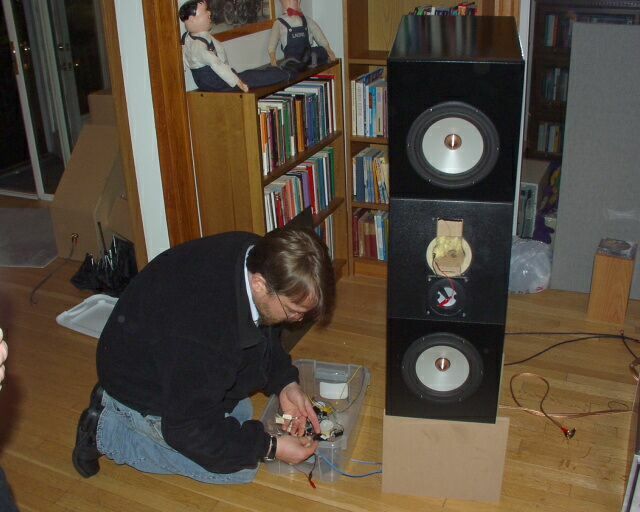 John K. checking out Pierre's winning DIY2002 speakers. 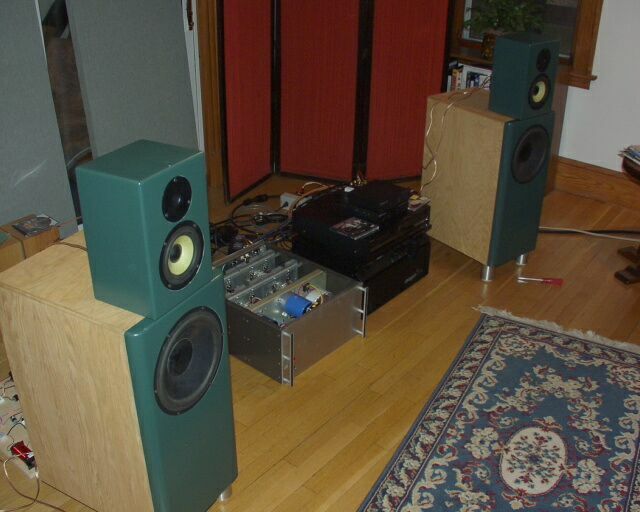 Another shot of Pierre's DIY2002 speakers. 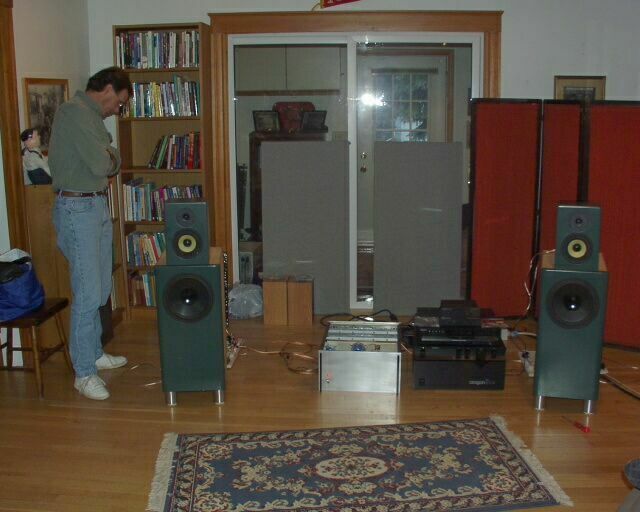 The big amp with the open top is Matthew Olson's multi-channel amp. 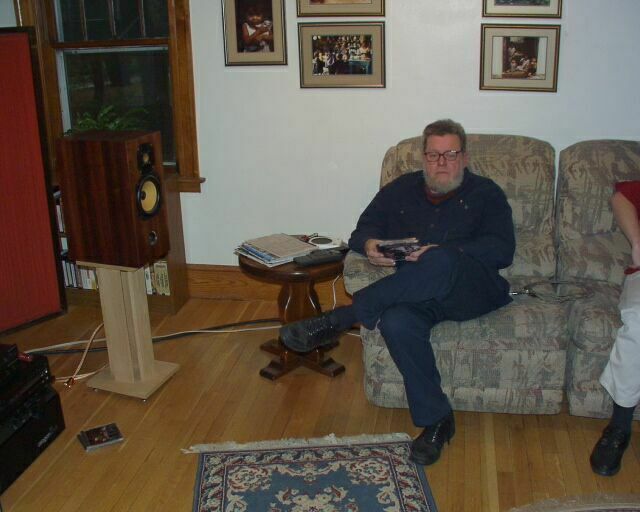 John Purys relaxing. He always looked relaxed, though! Dave Salizoni changing his crossover on-the-fly. 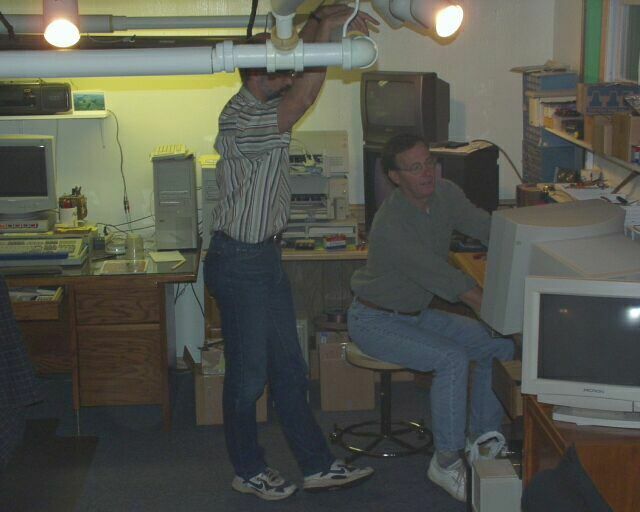 The testing room (my basement). That's John K. at the controls. 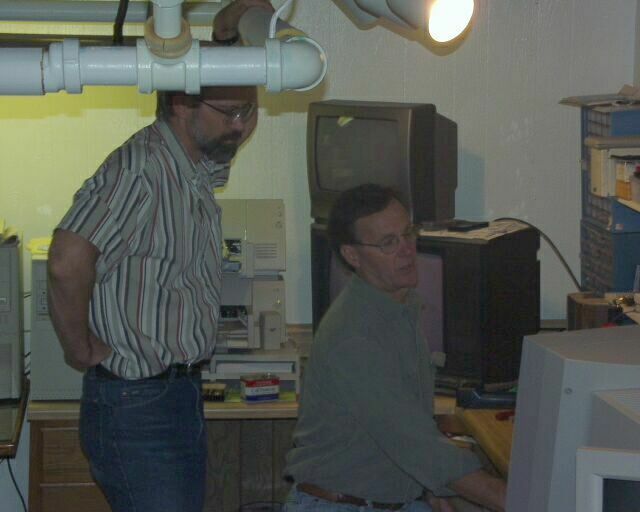 Here's another shot of the SoundEasy lesson from John (to me on the left).